Aceh is a province in the northern tip of Indonesia and sees far fewer visitors than many other parts of the country. The province is known for the devastating tsunami of 2004 which killed almost 200,000 people, and it is also notable for being the only place in Indonesia to have Shariah law. The province is less well known however for its attractions and natural beauty, but actually Aceh has some of the best beaches in the country, and the capital city of Banda Aceh has plenty to recommend it. If you like interesting museums and pretty architecture then you will find a plethora of engaging locations in Banda Aceh, as well as several monuments dedicated to those who lost their lives when the tsunami hit. Banda Aceh is not the only place of note in the province however, and you can easily find strips of golden beach and serene islands off the coast. 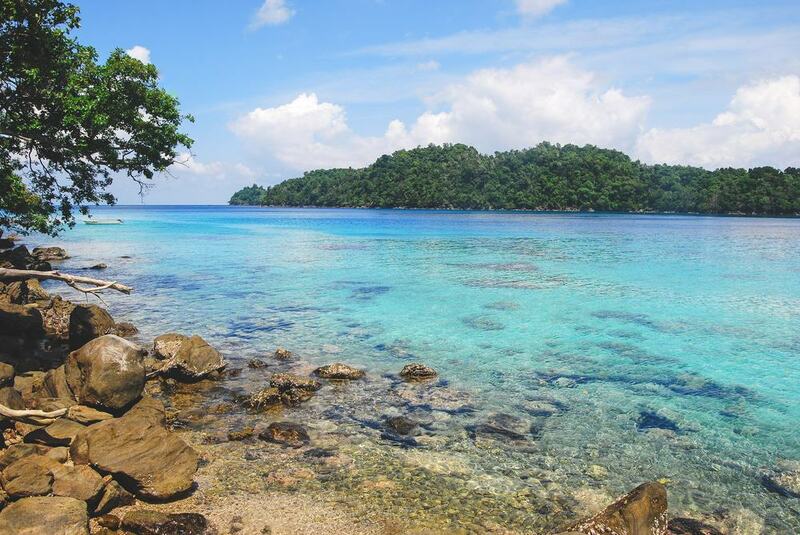 Aceh is also the home of one of the most famous national parks in Indonesia, and there are opportunities for trekking, hiking, and camping all over the province. Over 170,000 people in Aceh lost their lives as a result of the tsunami of 2004, and the Tsunami Museum in Banda Aceh acts both as a monument and an education center regarding the tragedy. The museum has rolling footage of the tsunami and the aftermath, but one of the most gripping parts of the museum is the waterfall sections which aim to mimic how the towering waves would have felt. These areas of the museum consist of dark corridors that drip with water, and as you move along you will be able to hear the sound of rushing waves all around you. 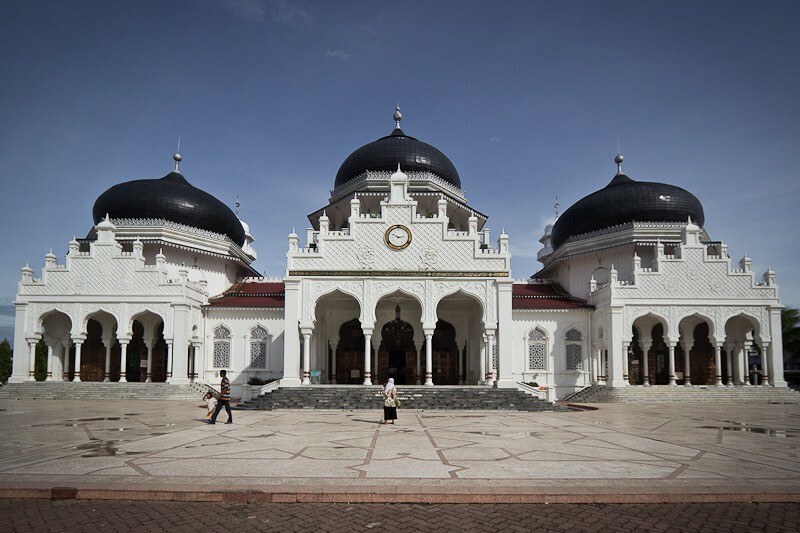 It is a powerful and very moving experience and is also one of Aceh’s most famous attractions. If you are Lhokseumawe in Aceh Province then consider taking a trip to Sidomulyo Village where you will find the Blang Kolam Waterfall. 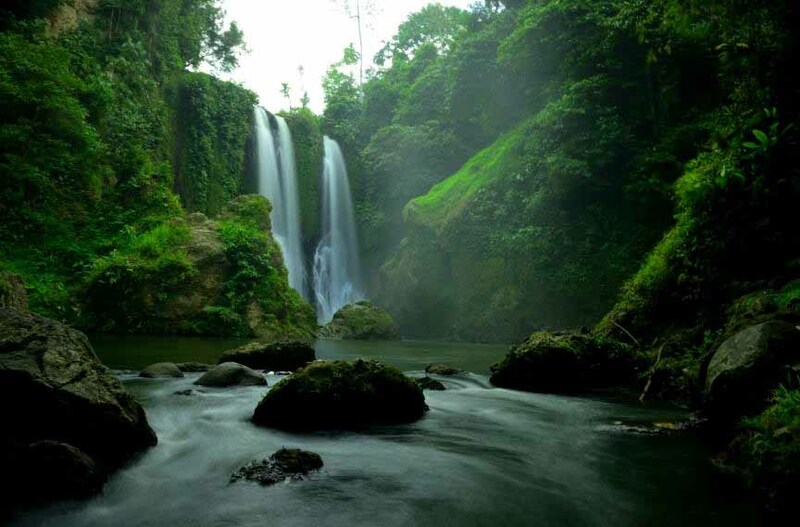 Actually twin cataracts, the waterfall rises up over 75 meters and is surrounded by beautiful rainforest. You can take a short trek out to the waterfall which will take you through lush rainforest with stunning scenery, and at the end of a sweaty hike you will be rewarded with the cool mist that comes off the gushing water. Many people also choose to bring some camping gear and stay overnight as the setting is incredibly serene, so if you like communing with nature then get ready to set up camp in the middle of the forest. 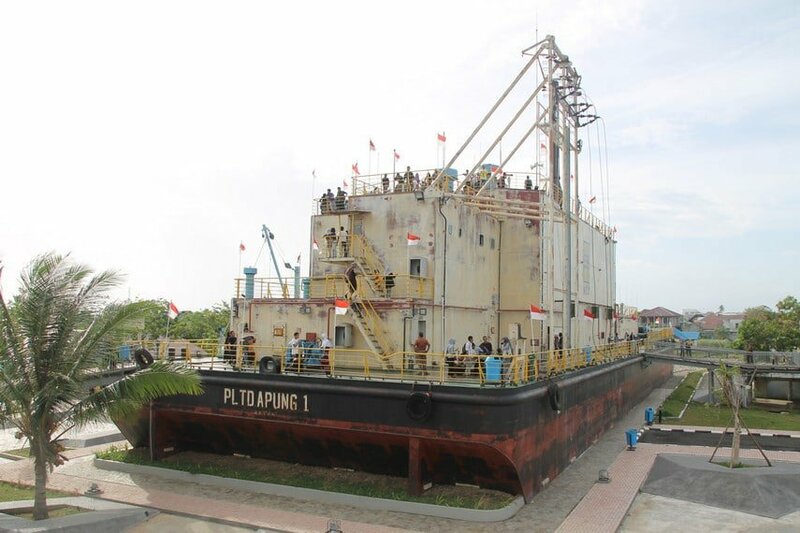 Aceh understandably has a range of attractions dedicated to the tsunami and another one of these located in Banda Aceh is the PLTD Apung which is the name of a large ship. When the tsunami struck Aceh it carried the ship inland where it has been positioned ever since, and it has now been preserved as a tribute to those who died in the raging waters. You can visit the boat and even climb aboard and from the deck of the ship you can take in the views that stretch all over the city. This is a quirky attraction and also a timely reminder of the power of the sea and it is worth the trip alone to see this ship sitting in the middle of the city. People may not realize that Aceh is famous for its coffee, but actually all across Indonesia Acehnese beans are in high demand. 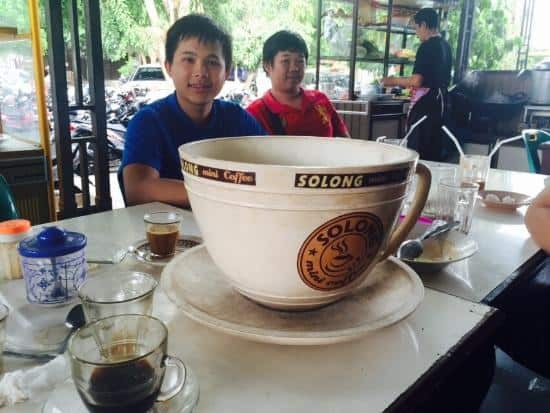 To try some for yourself you need to head to Warung Kopi Solong which has been in business since the 1970s and is famous as the place to come if you want good coffee in the province. This coffee shop also serves a range of snacks and you can see how they grind the beans as well as their amazing coffee pouring technique which filters the coffee before it goes into your glass. You can even buy bags of their signature beans here to take home as a souvenir. This coffee shop is immensely popular in Banda Aceh and is also the place to come if you want to see how the locals hang out in a province where alcohol is banned and bars and nightclubs don’t exist. Gunung Leuser National Park starts in the province of North Sumatra and stretches all the way into Aceh. Many people choose to visit the park via Bukit Lawang in Sumatra, but if you want a more secluded section of the rainforest away from the crowds then the best place to do this is in Ketambe in Aceh. 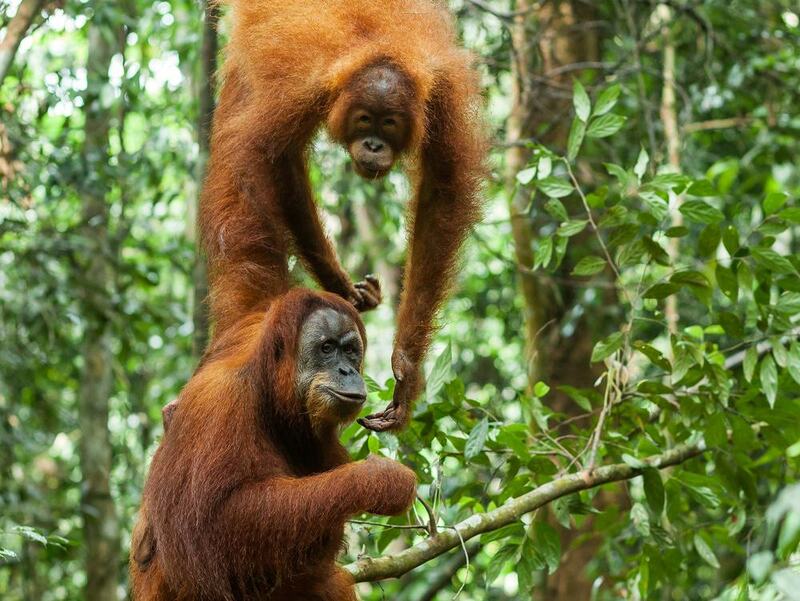 The park is made up of primary rainforest and is full of a plethora of flora and fauna including orang utans and monkeys. There are a range of hikes that you can take from short day trips to longer treks that take several days and let you camp in the middle of the forest. The Aceh Museum in Banda Aceh is a great place to visit if you want to find out more about this corner of Indonesia. 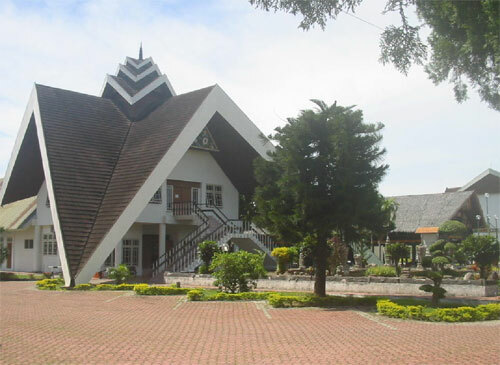 It is not the largest museum in Aceh, but it is filled with interesting galleries and you will find a range of items here such as ancient farming equipment, textiles, weaponry, and even a few local oddities. One of these is the stuffed baby buffalo which is on display and is notable for having two heads. The museum is closed on Mondays but if you are in the area at another time then make sure not to give it a miss if you want a fascinating insight into Acehnese culture and history. 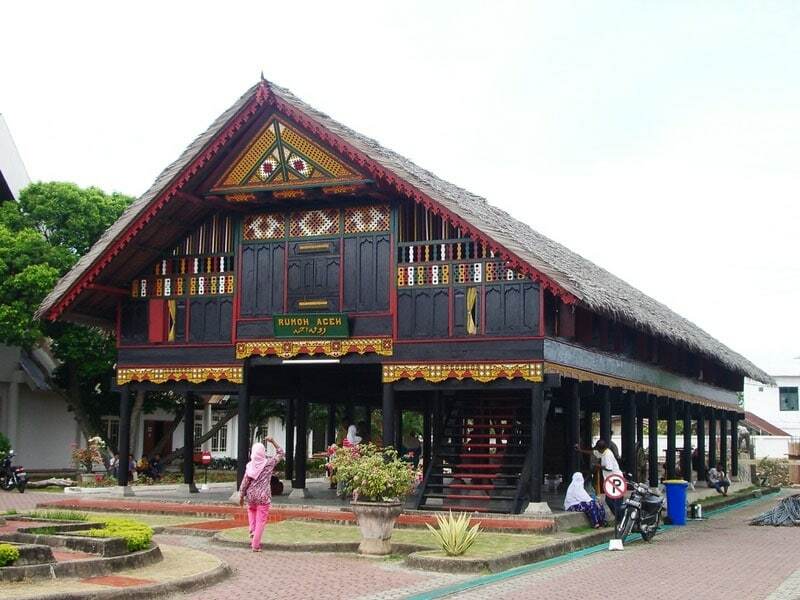 Rumah Aceh is actually a section of the Museum Negeri Banda Aceh complex and is made up of a traditional local house on stilts. The former home has been turned into a museum and offers an insight into how people in Aceh would have lived in the days of old. This is one of the best examples of traditional architecture so make sure not to miss it when you visit Museum Negeri Banda Aceh. Some of the best beaches in Indonesia are found in Aceh, although some of them lend themselves to surfing and other water sports. The currents around Aceh can be strong, so if you want to swim and sunbathe then the place to do this is Lampuuk Beach which is located outside Banda Aceh. The beach has miles of rolling sand and makes a great spot if you want to sunbathe or paddle in the water. As the beach is around 20 minutes away from the capital you can easily go there for the day and the beach looks out over the gorgeous Indian Ocean giving you some stunning sea views. 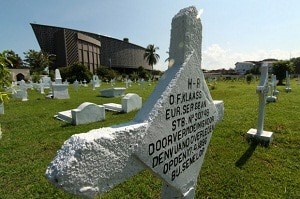 Banda Aceh is full of moving monuments and one of these is Kherkhof which is a large cemetery that is filled with Indonesian and Dutch graves. These graves belong to soldiers who would have been buried here after they were killed in action fighting against the Acehnese. Unfortunately the cemetery was partly destroyed by the tsunami and the grave stones couldn’t be saved, but these have now been replaced with simple wooden crosses and you can also find inscriptions of the names of those who died at the entrance of the cemetery. Mesjid Raya Baiturrahman is often referred to simply as Mesjid Raya which means Main Mosque and this is perhaps the most beautiful of all of Banda Aceh’s attractions. The mosque dates from the 19th century and was built during the Dutch colonial period, and is covered with ornate aesthetic touches. Once inside you will find beautiful towering domes as well as Islamic art work and the view of the mosque when it is illuminated at night is also not to be missed. You can visit the mosque outside of prayer time and non-Muslims are permitted to enter as long as you dress conservatively. Gunongan is one of Banda Aceh’s famous attractions although you may not know what it is at first glance. Actually Gunongan is a monument that was built by the sultan Iskandar Muda for his wife. As she missed her hometown of Pahang in Malaysia, Iskandar Muda commissioned the statue which would also have been used as a bathing place by the princess. Now the monument is open to the public and the stone work and carvings here are well worth a visit. Many people may be surprised to hear that Aceh has a surf scene, but just 15 kilometers away from the central hub of Banda Aceh is Lhok Nga which is known for its water sports. The sea here is choppy and has some great surf breaks, so you can easily rent a board and take to the water to ride the waves. As well as surfing, kite boarding is also popular here and you can skate across the sea while harnessing the power of the wind. Banda Aceh is famous for its night markets and one of the best of these is Pasar Malam Rek. The market gets going once night falls and stalls are set up that sell delicious food such as noodle dishes, fried snacks, and Indonesian satay or skewers of grilled meats. This is also one of the cheapest places to grab some of the local bites, so if you are on a budget or just want to sample a range of local delicacies then don’t miss this night market off your itinerary. Pulau Weh is one of the main reasons for people to travel to Aceh Province and the beaches here easily rival those in Bali. Just a short journey by ferry from Banda Aceh takes you to this secluded island which is surrounded by turquoise waters and lined with soft golden sands. Some of the best snorkeling and diving to be had in Indonesia can be found off shore from Pulau Weh as the visibility is excellent and you can expect a plethora or underwater life including turtles and rays. 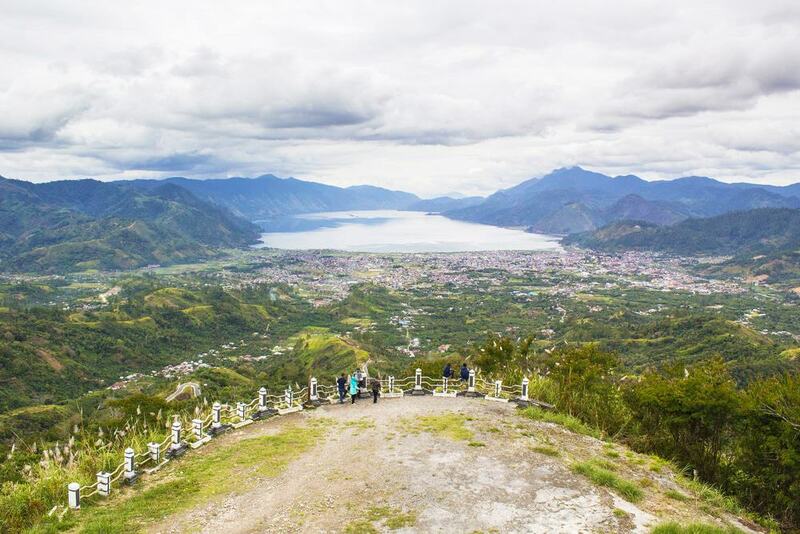 Located in the center of Aceh is Pantan Terong Hill which stands at 1,830 meters above sea level. Domestic tourists flock here to climb the hill, and the main reason to do this is to enjoy the amazing views from the top. From the summit of the hill you can look across to the neighboring glassy lake which resembles a cauldron as well as take in the lush tropical scenery.